High visibility orange color for protection you can see. 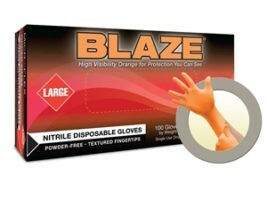 Our Blaze® high visibility orange glove is perfect for safety and EMS applications. 5 mil thickness and a 10.5″ cuff provide enhanced durability with exam grade protection. Textured fingertips for increased gripping power. 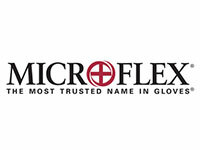 Microflex Integra N86 Exam Gloves Specifications We offer special pricing & volume discounts for Government, GPO, Health System, & Healthcare Facilities! Contact us for details. Microflex Integra EC N87 Specifications We offer special pricing & volume discounts for Government, GPO, Health System, & Healthcare Facilities! Contact us for details.